The CSIR develops and customises laser-based technologies to improve the efficiency and competitiveness of numerous industry players, large state-owned companies such as Eskom and Denel, as well as rendering valuable support to government initiatives such as the Aerospace Industry Support Initiative. The ability to provide this specialised support is rooted in a first-rate laser-based manufacturing facility with highly specialised equipment. A diverse range of manufacturers are benefitting from using laser-based technology solutions to improve the competitiveness of their product lines. With a two-pronged approach in laser-based technology solutions for industry, the CSIR has steadily extended its reach across sectors such as defence, power generation, mining, tooling, marine and transport. The organisation offers a number of laser technology solutions and services, outlined below. The laser welding process joins components using a laser source, with or without any filler material. This form of laser refurbishment process can be used in automotive body panels, light-weight structures, and stainless steel tubing. Laser ablation selectively removes material from a structure with a laser. With the small laser spot size and accurate positioning of the work piece, very small features can be machined with high precision. In addition, material such as ceramics and hardened steels can be easily machined. Laser shock peening is a process that aims to solve industrial problems. This innovative surface treatment induces compressive residual stresses on and beneath the surface through high-magnitude shock waves generated by a high-energy laser pulse. Laser shock peening is applied over a variety of engineering sectors where surface degradation is a major concern. This laser process is applicable for the energy and aerospace industries. Laser refurbishment is the process of repairing worn, damaged or faulty components. The laser cladding process is applicable for the repair of moulds, shafts, turbine blades and press tools. These diverse laser technology solutions have the ability to reduce costs, enhance performance, provide opportunities for innovative design and extend the lifespan of equipment in the industrial market. 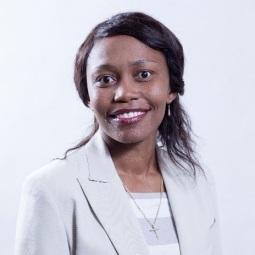 Over the years, the CSIR has amplified its laser-based manufacturing competences, specifically in laser-based refurbishment, a laser-weld overlay or cladding technology. Specialised equipment in the laser-based manufacturing facility is the mobile laser system used in the repairs of turbine blades, bearing journals, gears and drive shafts. This capability is invaluable for the refurbishment of large and high-value components as it translates to faster response times and significant cost saving for industry. Laser-based refurbishment also offers the opportunity to repair components that were previously scrapped due to industry not having access to this new, low-heat inputs repair process. Eskom experienced the benefits of using the CSIR’s mobile-refurbishment system first-hand. In 2011, some of the water tanks at the Eskom power station had developed stress-corrosion cracking. Managed by the CSIR team, a laser-based cladding procedure was designed for the in-situ sealing of water vessels. The team successfully managed to extend the service life of the Eskom power station tanks with more than five years. Additionally, using the same technology, the CSIR plays an instrumental role in Eskom’s turbine blade refurbishment programme. This programme helps ensure that Eskom’s operations are uninterrupted. It entails repairing cracks and leading-edge erosion, as well as rebuilding turbine journal and blade tenons. 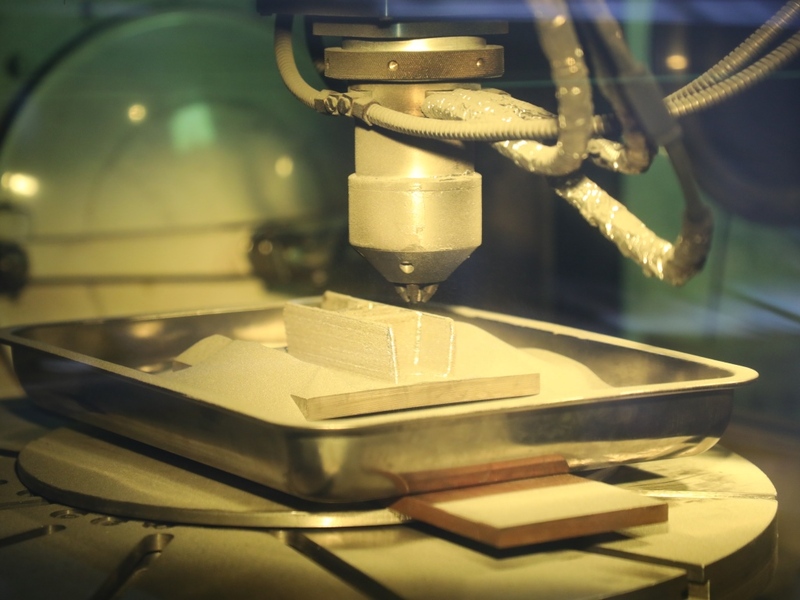 The CSIR’s laser engineering net-shaping 3D platform makes it possible to create fully-functional parts made from titanium, nickel, metal matrix composites and zirconium. The platform also has the capability to improve existing parts through the deposition of new surface layers, build-up of damaged areas and perform hybrid manufacturing processes for complex geometries. This additive manufacturing platform has proven to be particularly beneficial to the automotive and aerospace industry. To help ensure that South African manufacturers remain competitive through advanced, innovative laser-based manufacturing, the CSIR also has valuable expertise in and access to equipment for 3D laser and pipe cutting, laser hardening and welding.